Session 5 is focused on the Vicious Circles--the circles that make us vicious. Anger can be addictive--specifically, an addiction to power. There are six types of Vicious Circle, which are outlined in detail in the session. The question that will arise very naturally is, how do we break out of the Vicious Circle? Determine which Vicious Circles are strongest with you by clicking here. 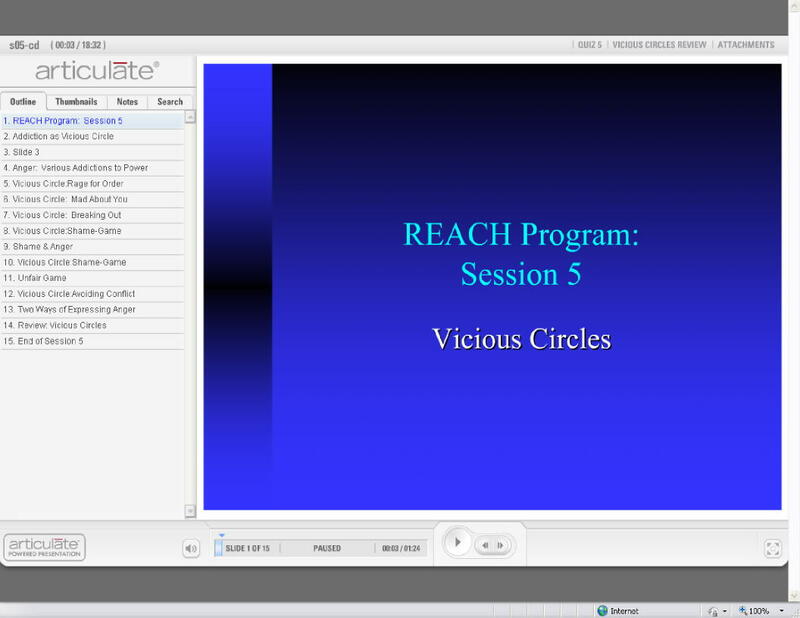 Vicious Circles Review, a multimedia instruction module. There is no narration for this module--simply click through the buttons on the left.